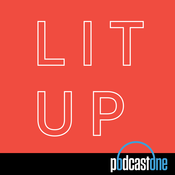 Startside Podcasts Literatur The Lit Show. Finding meaning in sadness, defining the different types of love and looking at the complexities of masculinity, are the overarching themes in Trent Dalton's novel, Boy Swallows Universe. Trent shares with host Angela Ledgerwood how he used this book to put a positive spin on some of the sadness of his past and how he used his character, Eli, to explore what a do-over on his life would have looked like. Is it desire, duty or expectation that leads someone to become a mother? This is the question Sheila Heti explores in her book Motherhood. Sheila discusses the ties between the female identity and motherhood with host Angela Ledgerwood, as well as her theory as to why female artists seem to get a pass for being child-less when women in other professions don’t. Art historian Mary Gabriel has re-written history to include the incredible women who changed modern art in her book ‘9th street women.’ Mary tells host Angela Ledgerwood how the idea for the book arose out of a conversation she had with painter Grace Hartigan 30 years ago. Mary dispels a lot of the misconceptions around the rivalry of female artists during the male-dominated world of twentieth-century abstract painting.